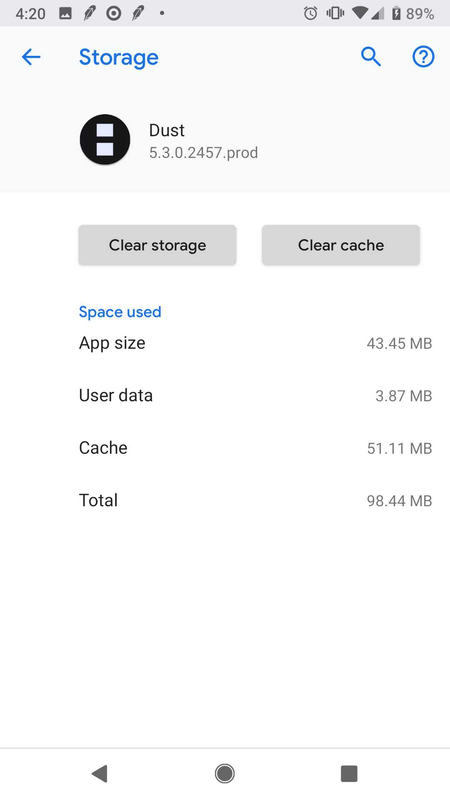 This article provides an overview of the process to clear the app cache on some Android devices. This article applies to Android users only (not iOS). 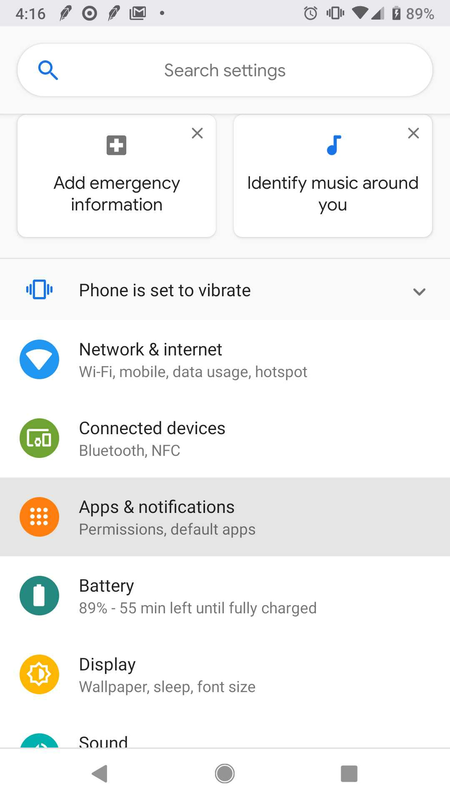 If you are having trouble logging into Dust on your Android device, try the steps below. 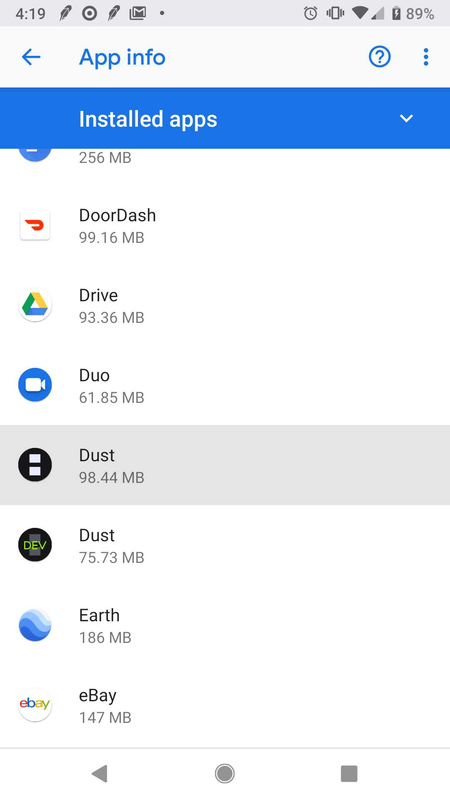 Ensure you have the latest version of Dust installed from the Google Play Store, and swipe the app out of memory (hard close the app). Step 2: Select Dust from the app menu. If you do not see Dust in the app list, this article does not apply to your device. 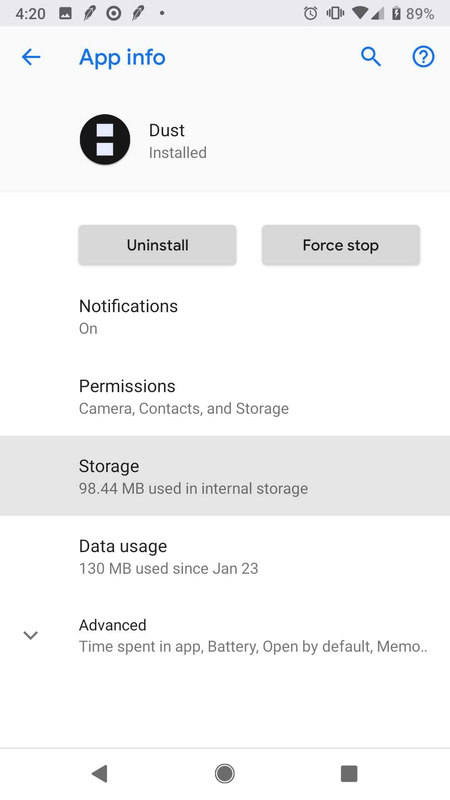 Step 3: Select the "Storage" option from the Dust app settings. Step 4: Tap both buttons for "Clear storage" and "Clear cache" to wipe away any data from previous installs of Dust. Step 5: Open the app and login.